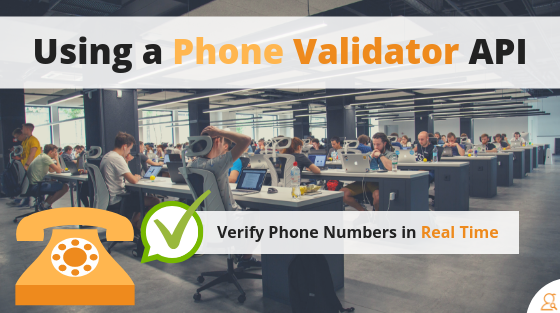 Using a batch phone validator works well for most businesses with phone numbers in lists. Like when your business data has multiple phone fields and your database doesn’t know a cell phone from a landline or VoIP number. Upload phone lists. Get validated results. Start calling. But what if there was an even easier way? Or what if you need to validate phone numbers before they even get onto a list? How about validating numbers in real time as people enter them on form fields? A batch phone validator can’t do that. But a phone validator API can. It just takes a bit of integration. The idea of automated list processing might make some people uncomfortable. After all, if you’re working with your lists, you can see the phone numbers and potentially spot mistakes before you pay the batch processing service to do it, right? Spotting mistakes on your lists are good. Preventing invalid entries from originally penetrating your databases and causing problems is much better. Screening phone numbers immediately at the point of entry helps deter fraudulent orders and people who plan to exploit return policies. Checking your numbers from a list on the backend of the does not. 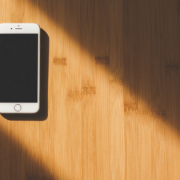 So, here’s our case for using a phone validator API, starting with some key information about phone numbers. Can You Tell if a Phone Number is a Cell or Landline? Short answer: not by reading the phone number. So, on this front, looking at your lists won’t help. Long answer: some regions in the world have fixed prefixes for cell phones and landlines. In these areas, it can be possible to identify cell phones and landlines by checking the prefixes. In North America, this is not the case. Any number can be assigned to a cell phone or a landline. And numbers can be ported to different phone services. So you can’t identify line types based on the phone numbers in your list by looking at them. Of course, telecom carriers know the line types of their phone numbers. However, the only way to access this carrier information efficiently is with a phone validator. If you’re using a bulk phone validator, identifying cell phones and landlines is probably one of the primary phone validation functions. Identifying inactive, invalid, or spoofed phone numbers is likely another task your phone validator accomplishes. Again, using these tools on your databases is good. But, now look at how a phone validator API can make things even easier and more efficient. Both of these can be achieved easily. The process of integrating and using an API is simple, and a bit of work up front can deliver exponential gains down the road. Here’s some foundational information for those who are new to the API game. An API is an application programming interface. They are widely used by developers. 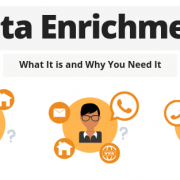 In essence, an API is a bit of code that companies publish so that third-party programs can communicate with and request data from the company’s proprietary program. For example, Searchbug has an online interface where customers can upload data for processing and verification. Customers must manually upload the data through the Searchbug website in order to access the Searchbug data processing system. The Searchbug API enables a program to access the Searchbug data processing system. So rather than manually uploading data through the Searchbug website, your CRM software, order processing system, webform, or your database can communicate directly and exchange information with the Searchbug system. In simpler terms, any Searchbug API enables your software to request data from the Searchbug data processing system. APIs are easy to use, as far as software development tools go. When you want to use an API, you’ll typically get a snippet of code and a way to authenticate the connection often referred to as an API Key or URL call. The snippet of code is what your developer will use to embed the API’s functionality into your software. The API key or other credentials authenticate the API. Searchbug’s method of authentication is the user’s validated account credentials via a “URL call” so there is only one credential for accessing your account and API, instead of multiple credential requirements. Since Searchbug doesn’t use an API key for each API to authenticate and use a URL Call, it keeps it simpler and makes implementation easier. You can download the Searchbug API guide for further explanation. Some software has an API integration interface, where you can add API functionality by pointing and clicking. Other software may require coding to embed the API. However, the code required is minimal. Either way, your developer or the API creator’s support team can help you complete the integration and start using the API. But, what can you do with an API once you’ve got it? This is where the advantages of an API over batch processing stand out. Since your CRM system is where the majority of your customer data lives, it makes sense to embed data validation there. 30% to 70% of most companies’ CRM data is outdated or incorrect. Customers make mistakes when they input their phone numbers in form fields. Without a phone validator, they can easily enter incomplete, incorrect, and fake phone numbers, which creates invalid entries. You can use a phone validator API to automate phone number validation and separate phone numbers by line type. Once the phone numbers are separated, you can use them in the appropriate customer outreach channels. Or you can just add the phone number validation function to your CRM interface, so your teams can perform number verification and classification inside the CRM system, to reduce the number tools your teams use. 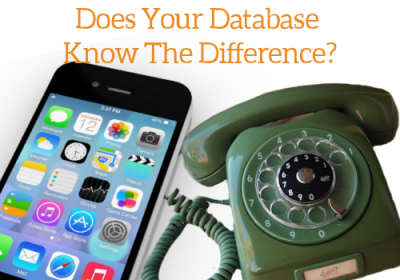 Validating data as it’s collected is the best way to keep bad data out of your databases. You can use an API in conjunction with your online ordering interface to screen phone numbers as they’re entered to reduce fraud and minimize order complications. During the order process, the ordering system uses the API to send the phone number the customer submitted through the validation system. If the Searchbug API determines the number is invalid or inactive, you can even have your system automatically prompt the customer to correct the entry. Often, fraudulent orders are placed using a fake, invalid, or spoofed phone number. If your system rejects invalid entries before an order is placed, it acts as a passive fraud deterrent. The same goes for people that plan to exploit your return policies. This way your ordering system is more fraud-resistant and filters out data entry errors without degrading the customer experience. The application here is similar to using an API in your CRM system. Since your data management software handles all your data, there’s ample opportunity to add data validation to your data management process. 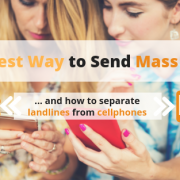 Your data management software can automatically send phone lists for processing between data collection and deployment. Even if you’re not collecting orders, any time people enter data into form fields, there’s an opportunity to validate the data before you let the user navigate away from the data entry page. 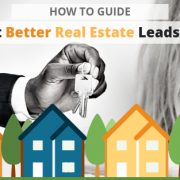 For insurance companies, medical practices, financial firms, lead generation firms, marketing agencies, and any other business who needs reliable phone numbers, this is essential to good communication with your customers. Using a phone validator is also mandatory if you use SMS marketing. So there’s no downside to verifying phone numbers up front. This is far from an exhaustive list of what you can do with a phone validator API. The point here is that using an API to access your phone number validation service is more efficient, and therefore more cost-effective than using a batch phone number validator. Obviously, you can’t use an API for everything. But if you can do it with an API, you should. How do you use a phone validator API? Leave a comment and let us know. If you want to start using an API to save time and money, check out the Searchbug Phone Validator API.